It has been decided to move the Ace of Prints Competition from Briton Ferry to Talbot Green Community Centre. As this venue has a market there on Saturdays it is also necessary to change the date to Sunday 7th July 2019 with the closing date remaining at 16th June 2019. I would be grateful if those Clubs considering entering could contact me to let me know their intentions by April – Thanks! Because there are a few new Clubs and there have been changes of Secretaries in 2019 I have decided to circulate the Rules etc., again. I do believe that any of our Clubs who have 5 print workers can compete successfully in this competition – and it will expose their members work to a wider audience, the entry must consist of Colour and Monochrome prints with no more than 3 Nature prints. So although the rules say a Club is allowed “Unlimited” numbers of prints this is just to remove any artificial limits. A Club needs 12 prints in round one and if you go through to the second or Plate round you would only need 3 more prints – making a total of 15 prints. Obviously any prints that scored lowly in the first round a Club may want to replace – say 5 more prints making 20 prints a comfortable quantity to compete with. Now obviously a Club could come along with 40+ prints as it may decide to see what the Judges’ peccadillos or dislikes are in the First Round so that they can choose effectively for the final. I have to say I think that would be overkill as print quality is what counts. So to summarise:– 5 print workers with 4 prints each would enable a Club to partake and enjoy the Competition. For a small £10 entry fee you could enjoy a feast of Welsh Photography and measure yourself against your Federation Clubs. I’ve even attached the First Round Entry Form so that you can start listing the great work you see in your Club right now! Remember the Olympics motto: Taking part is what it’s all about – not just winning! Looking forward to hearing from you before or during April – any queries contact me as below! A day with Antony Penrose. RPS South Wales are organising a day with Antony Penrose curator of the Lee Miller Archives. Talbot Green Community Centre, 93 Clos Springfield, Pontyclun, CF72 8FE. All photographs for sale and studio facilities available for family photographs. Entry £1.50 including tea and biscuits. Free entry for children. 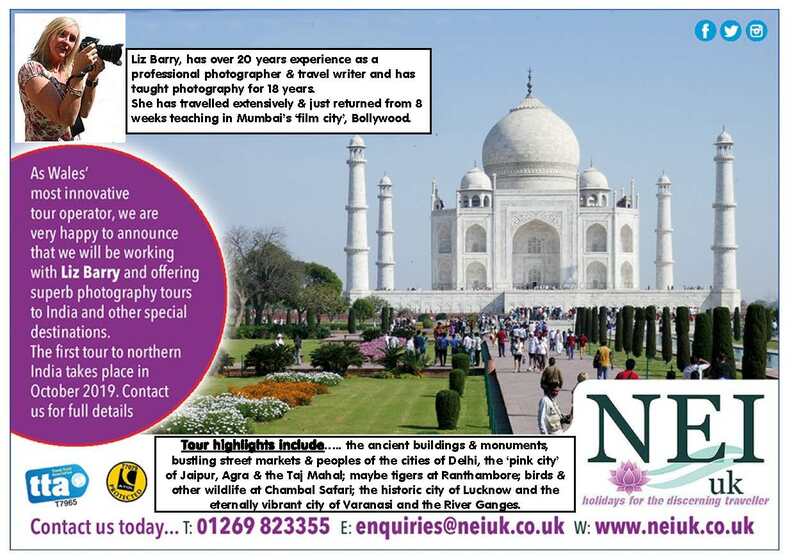 Liz Barry, a photographer based in Swansea is working with a local Travel company NEI UK Ltd to organise a photo tour to India from October 7th to 22nd. Full details on her website. 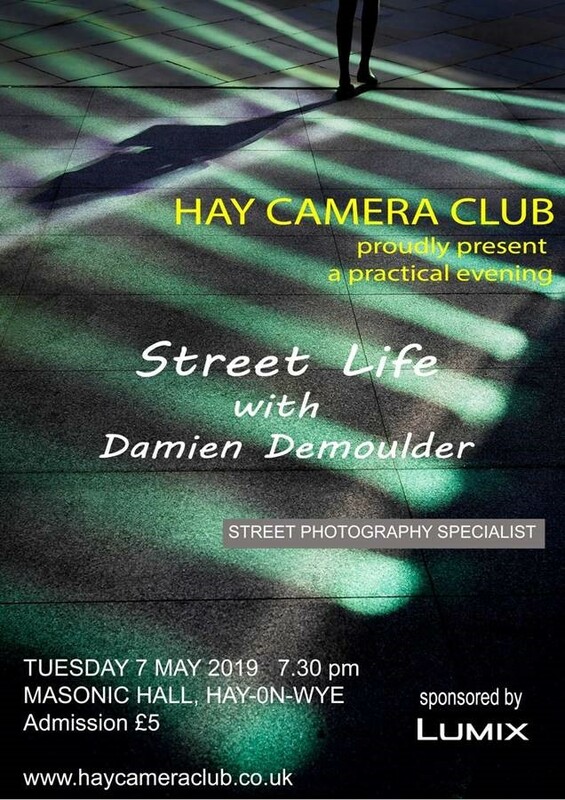 Bargoed Camera Club are holding an exhibition from Saturday 20th April (from 2pm) for about four weeks. The location will be Winding House, Cross Street, New Tredegar, NP24 6EG.